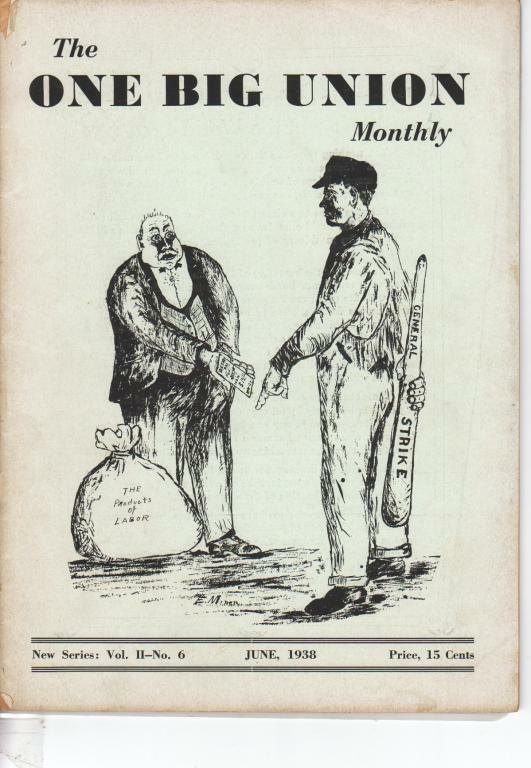 June 1938 issue of The One Big Union Monthly, with articles on the Spanish Civil War and Work Peoples College. Contributors include A.B. Cobbs, Covington Hall, x372561, Art Hopkins, Jane Street, Chas. J. Miller, George Speed, Mortimer Downing and Gussie Perlman.